But Edward the Black Prince would never be king. As I’ve been reading about the Plantagenets, a pattern has emerged of weak English Kings being followed by strong English Kings. King Henry III was fairly ineffectual and really only managed to hang onto his throne due to the courage and tactics of his son the future Edward I. Edward would wage effective war on the Welsh and the Scots. He was a commanding presence in height and temperament. His son Edward II was not a chip off the old block and was eventually overthrown by his French wife, Isabella, and her lover, Roger Mortimer. There were rumors that Isabella had her husband murdered by having a hot poker inserted into his arse, a harsh commentary on his preference for the company of men. Edward III at age 17 staged a coup against Mortimer to take back his throne, in more than just name, and had Mortimer hanged. His she-wolf mother was put under house arrest and shuttled about from castle to castle to keep her safely away from influencing the affairs of court. Edward III proved a very competent king, not only as a ruler but also as a conqueror of France. The English longbow was proving to be a very effective weapon, and he used it to his best advantage. Not to take anything away from Edward III and his strategies, but until I read this book, I had no idea just how important his first born son and heir was going to prove to be in conquering France. The Battle of Crecy is where the Black Prince won his spurs holding the line against terrible odds and, even more astounding, at the tender age of 16. The Battle of Poitiers is where he was even more impressive, taking on a French army at least twice as large as his own and inflicting catastrophic casualties on the French with very few losses on his side. 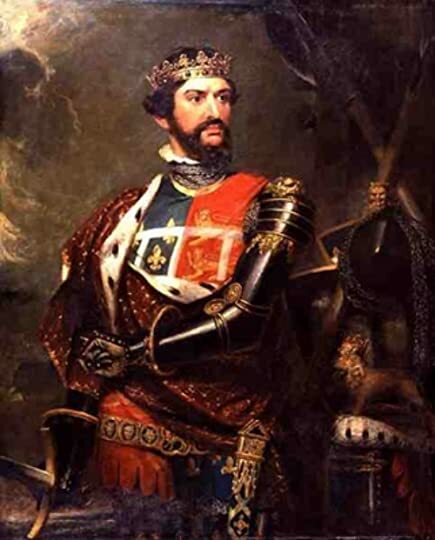 To make the victory absolutely complete, he also captured King John of France. The pattern of weak king/strong king would have been broken, and the age of chivalry that directed so much of the Prince’s actions would have flowered and been the guiding light of knights of England for another generation. I have to believe that, if he had become Edward IV, his son, the boy made king at age ten, would have certainly had a much better chance to be a better king. 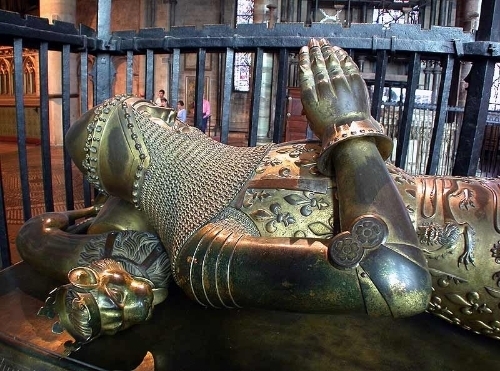 Edward the Black Prince died on June 8th, 1376. King Edward III died July 5th, 1377. Due to the rules of primogentry, Richard is crowned king. Edward III’s second son to survive infancy was Lionel who unfortunately passed at the age of 29, but the candidate I am most interested in is his third son, John of Gaunt. He may have never had the success of his father and brother, and as de facto regent of Richard II, things were not exactly smooth with the nobles, but I feel that putting a man of 37 on the throne instead of a 10 year old boy would make more sense. Because of the illnesses of his father and his older brother, the responsibility of governing had been on John’s shoulders since 1370 anyway. 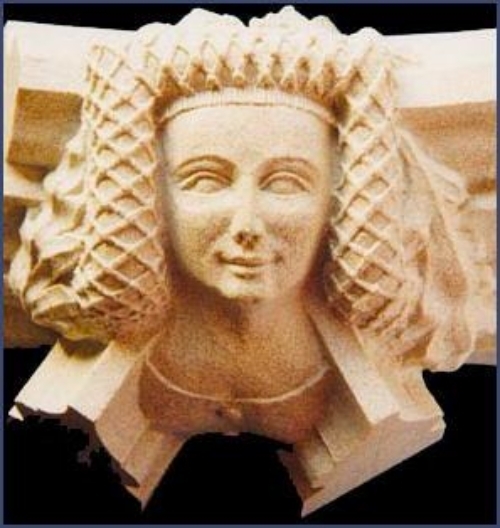 John’s son Henry would depose Richard II and become Henry IV. Really, Henry had no choice after Richard declared him disinherited and confiscated all of John of Gaunt’s land and wealth. *Sigh* maybe there were just too many royal male Plantagenets with varying degrees of legitimate claims to the throne of England to avoid a conflict. Richard was such a despised and weak king that the script really writes itself. There are a few things I want to highlight that speak to the character of the Prince. First, he pardoned a very important writer. 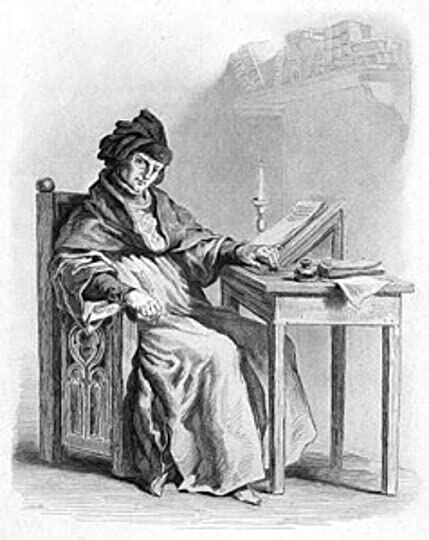 ”He paid 16 pounds toward the ransom of a young squire, a budding poet who had been captured by the French in the small skirmish after the army left Rheims. The man’s name was Geoffrey Chaucer”. All of English literature thanks you, Sir Edward. Second, he married for love. He was the most eligible bachelor in all of Europe and could have used marriage to form alliances with key allies, but he decided to marry the most lovely woman he had ever met, his cousin, the widowed Joan of Kent. They were completely devoted to one another, and unlike most royalty in similar circumstances, Edward did not keep mistresses. It was part of his code of conduct that supported his devotion to chivalry. The Black Death was on course to kill over a ⅓ of the population of Europe, so with the almost certainty of an early death looming over them, it may have contributed to what would be perceived as a selfish decision. Third, he gave away so much of his wealth that many of his servants, by his death, were richer than he was. He was certainly searching for a higher idea of how to conduct his life beyond just possessing wealth or the trappings that accompany such riches.